Sprial fluted taps draw chips out of a tapped hole, thereby preventing clogging and recuting of chips. They will also bridge a keyway, or other gap inside the hole. 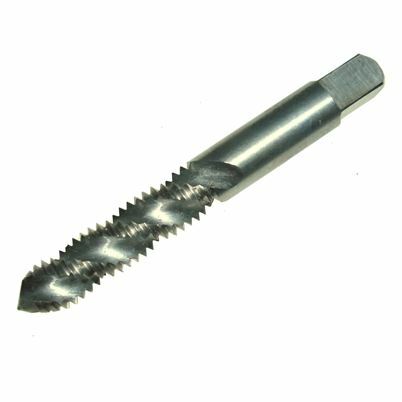 They can be used for tapping most materials, especially mild steel, aluminum, magnesium, copper and brass in blind holes. *Bottoming style champfers for blind holes (1-2 threads) are special order. Contact us if you would like us to offer this style.